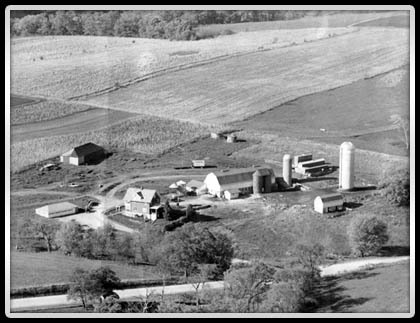 Kellercrest began in the late 1960s when our parents, Daniel and Jeanne, purchased two registered Holsteins and created the Kellercrest prefix. Our parents saw the future and value of registered cattle and continued over the next several years to add quality animals to the herd. In 1972, when Tim was 10 years old, Daniel and Jeanne bought him a registered calf named Suzie from John Hamilton’s farm in Verona. Two years later, Tim purchased another registered calf from John. Several members of today’s herd trace back to these early calves including Strawberry, a Suzie descendant, who was a 2E-91 point cow with over 250,000 lbs of milk lifetime left the herd just a couple of years ago. In 1988, Tim and Sandy became partners in the farm on a 50/50 arrangement with Daniel and Jeanne. 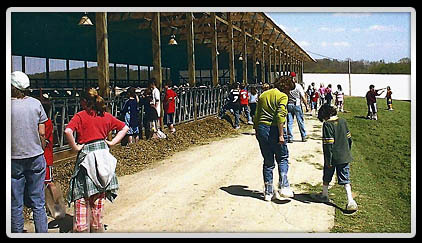 In 1997, Tim and Sandy purchased 100% of the herd and cash rented the farm. With the future of the dairy business changing rapidly and Tim having bad knees, a decision had to be made on whether to stay farming or get out. Like most dairy farmers, we have had our highs and lows. It was because of many of our lows that we chose to expand. We became tired of some very nice young cows destroying themselves in our old tie stall barn. After seeing some other breeders successfully expand their operations, the decision was made to buy the farm and expand to a modern day operation. 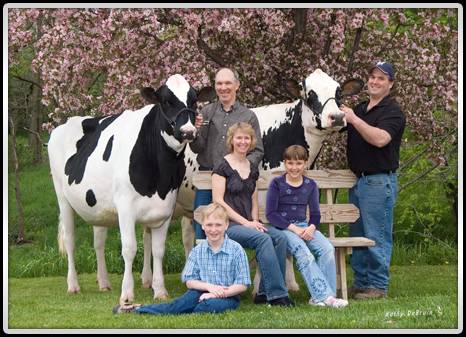 Kellercrest Registered Holsteins, Inc. consists of a partnership of Tim and Sandy along with Tim’s brother Mark. Both Tim and Mark bring great experience to the operation. Tim is a UW-Madison Short Course graduate and Mark is a UW-Platteville graduate. Mark also worked in the agriculture industry for 13 years before returning to the home farm. A freestall barn was built in 2000 and the Larry and Carol Kammes herd near Gratiot was added into Kellercrest. This brought an additional 85 good registered cows into the herd while adding to the herd and facilities. 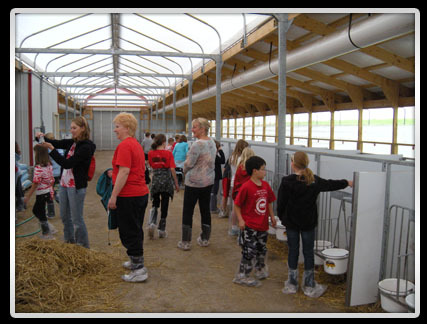 A new heifer shed was completed in 2004 and in December, 2009 a new Cozy Calf Care Center was built for baby calves (houses 52 calves). 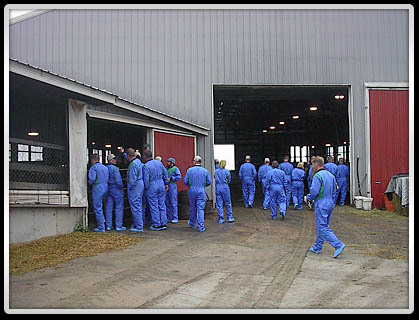 In March of 2010 we added a new transition barn to accommodate 20 fresh cows. Today we have 600 animals on the farm with just over 300 in milk, 300 heifers and a handful of bulls for A.I. The herd is now 100% registered and about 97% homebred. at Kellercrest on a picture perfect day - education is important to us! Our goal is to breed the perfect cow with high type, production, components, show, index and longevity. We use a combination of type bulls with high index bulls. In 1987, a cow named UW-Fleta Excel Sexation-OC won Grand Champion honors at the Wisconsin Championship Show and Minnesota State Fair. Fleta went on to be a 94-point cow and a three-time All-Wisconsin winner. A handful of cows still trace back to Fleta. In July of 1990, a Bear-Path Fantastic daughter made the cover of the Wisconsin Holstein News. She was our first contract cow and sent one son to A.I. In 1994, we received the Progressive Breeder Award for the first time. We have received this award eleven times to date. In 1996, we received the Progressive Genetic Herd Award for the first time and this year was the 13th time we were recipients. Kellercrest has also been among the top 6 herds in the country for BAA for a herd over 200-300 classified cows. Our queen cow of the farm – Kellercrest Winken Lusty - was put to rest just short of 18 years of age. Lusty was a 2E-90 GMD with over 215,000 lbs of milk lifetime. 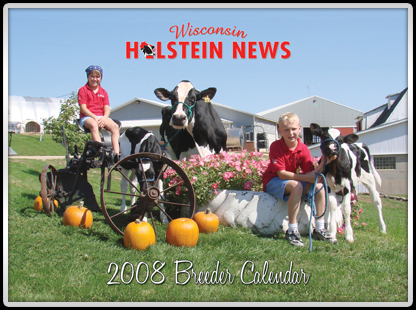 She was voted the Cornerstone Cow in the Wisconsin Holstein Association News contest in 2007 and some of the most elite genetics in the herd today trace back to her. To date, Kellercrest has sent over 100 bulls to A.I., including successful bulls at ABS Global (Kellercrest Langdon-ET) and at CRI (Kellercrest Bret Les CRI-ET). 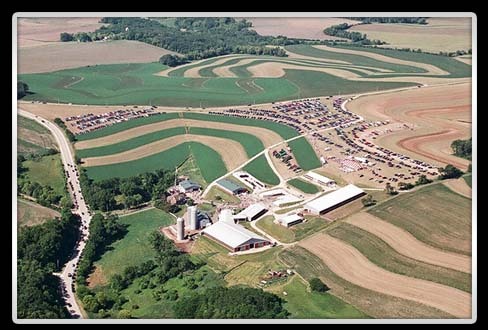 In 2008 we won the National Dairy Shrine Progressive Dairy Award - over 300 cows. Of the Excellent scored cows in the herd, eleven are 2E or 3E. Kellercrest has also developed 41 Gold Medal Dams and 23 Dams of Merit.